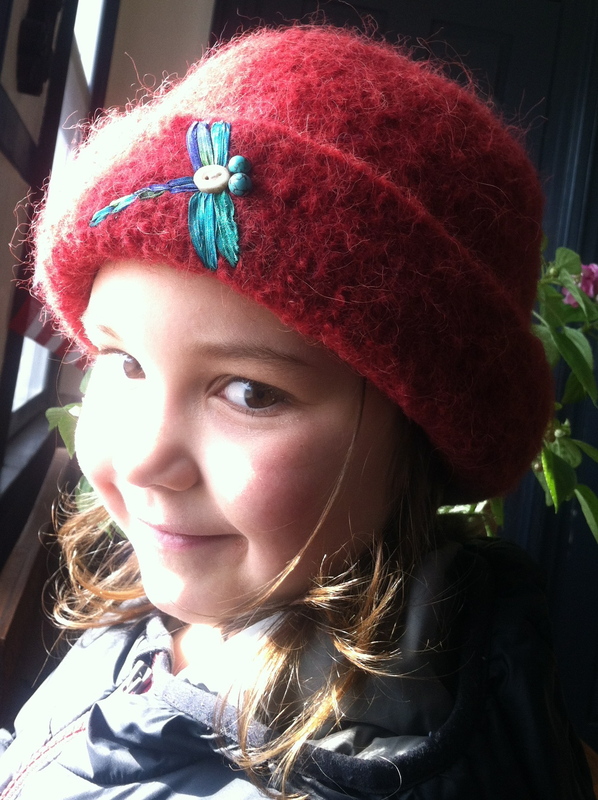 Harper models her prized dragonfly felt hat. “She is so sweet and protective of it she doesn’t like to wear it if it might get snowy or dirty (on the playground, for example). Thank you, Harper! I’m so glad you love your hat. 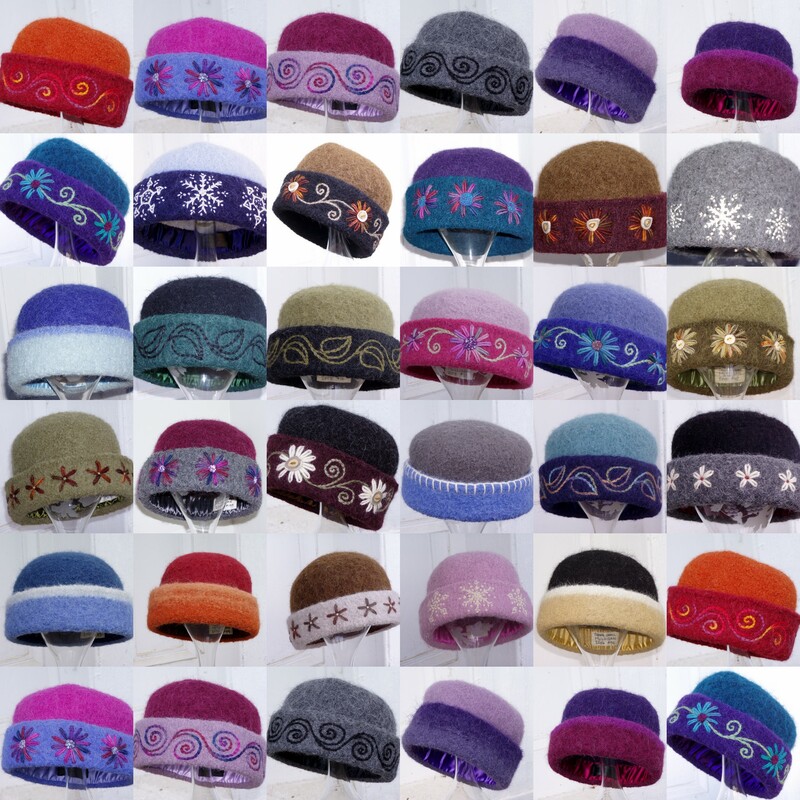 And don’t worry if you get snow on it… That hat is tough as you, and can take any weather! I love my day job at Dartmouth College. I love the energy and enthusiasm that permeates the campus. This year, in celebration of the Hopkins Center’s 50th anniversary, Dartmouth declared a Year of the Arts. 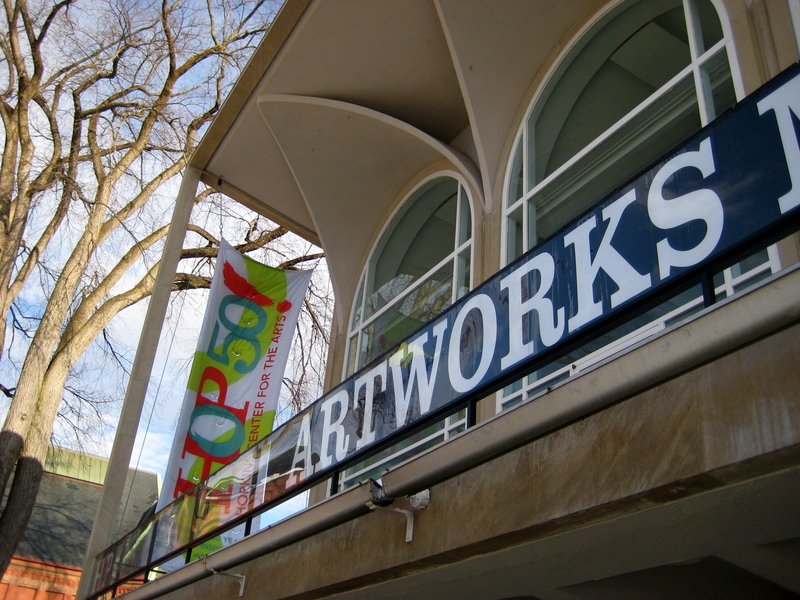 Banners celebrating ArtWorks and 50 Years adorn the front of the Hopkins Center. ArtWorks 2013 celebrates the creative & artistic talents of over 70 Dartmouth employees, the largest number yet. Each employee can submit up to 4 pieces. 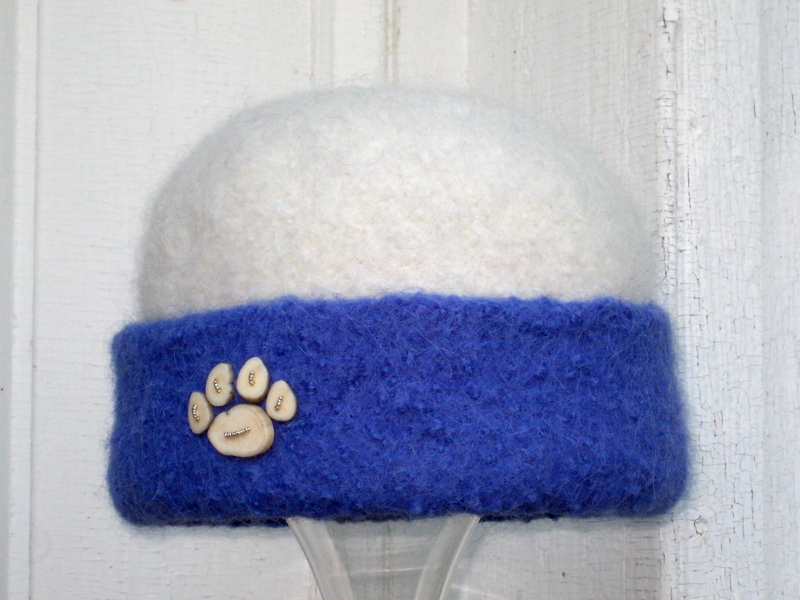 2012 Hat #44: Paw Print of hand-cut caribou antler buttons and tiny metal seed beads. 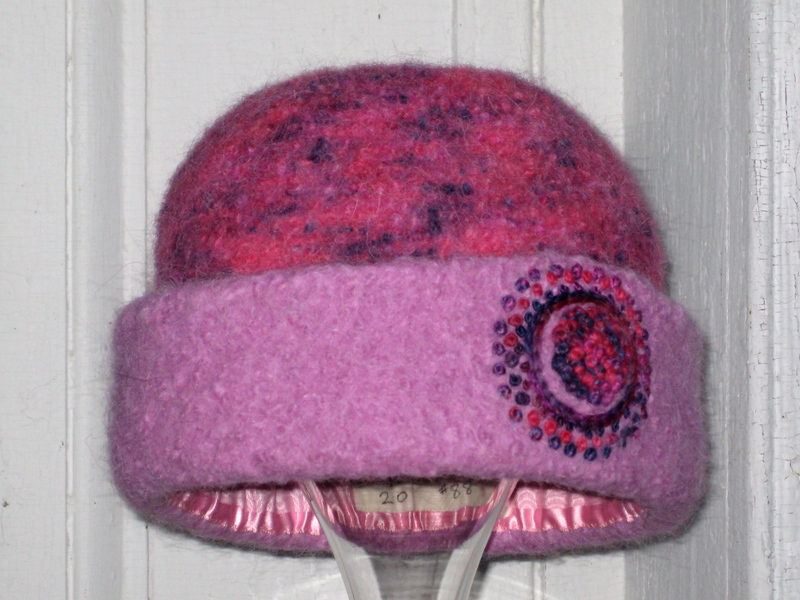 2012 Hat #18: Pink Dragonfly, with jasper beads and hand-cut caribou antler button. 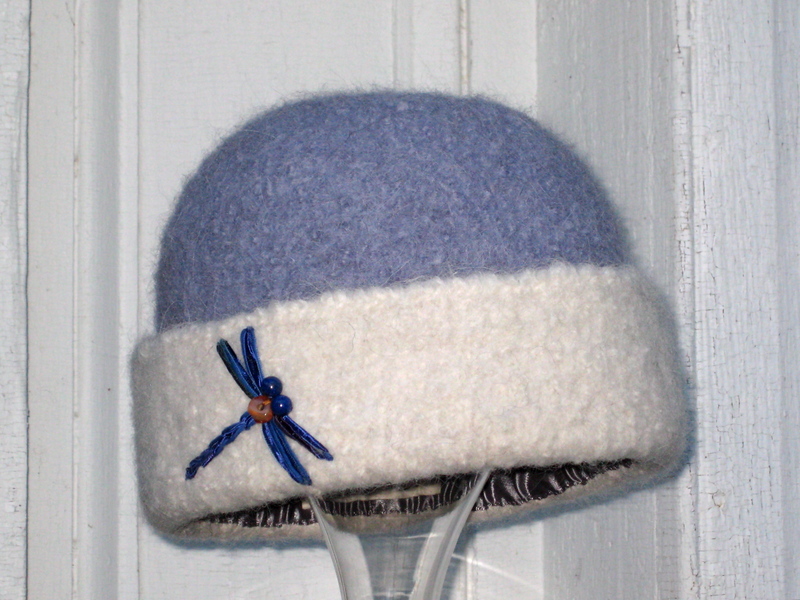 2012 Hat #44: Dragonfly with lapis lazuli and agate beads. 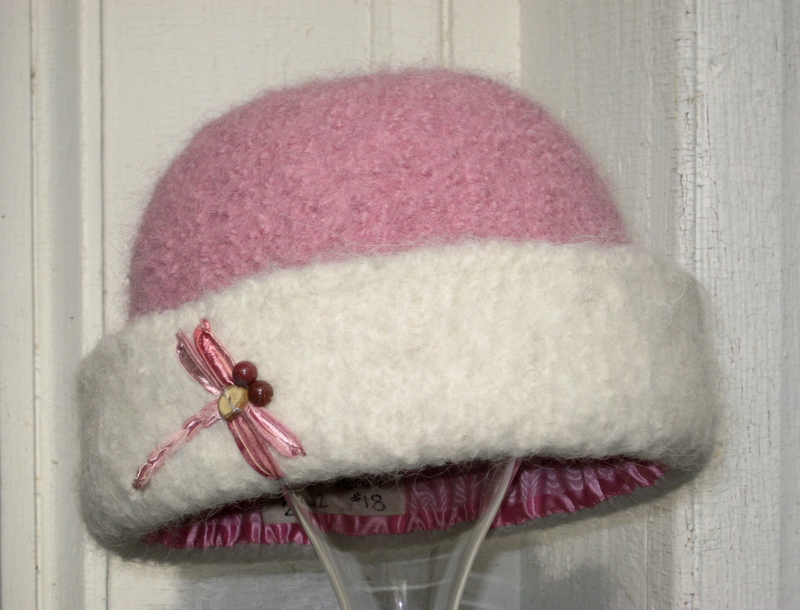 2011 Hat #88: Pink Mandala of French Knots… yummmy! 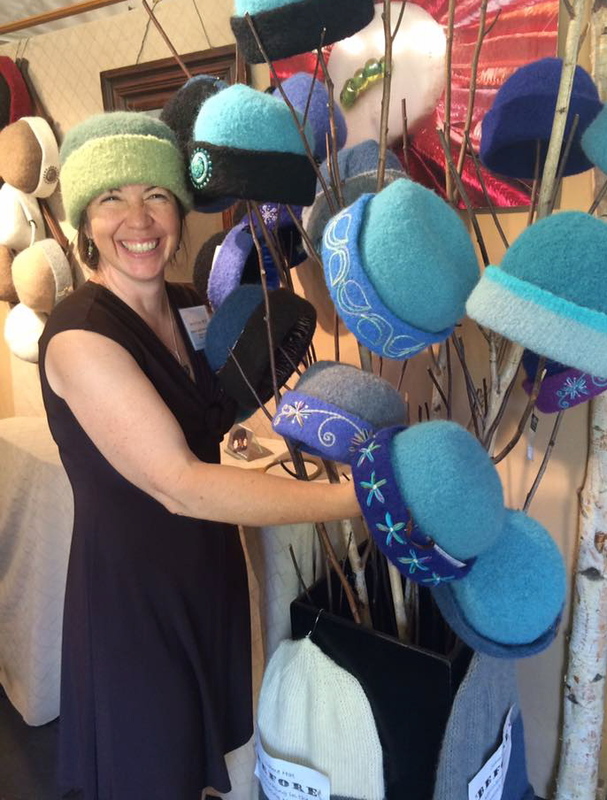 All four of these hats are available for sale… Let me know if you’re ready to treat yourself!